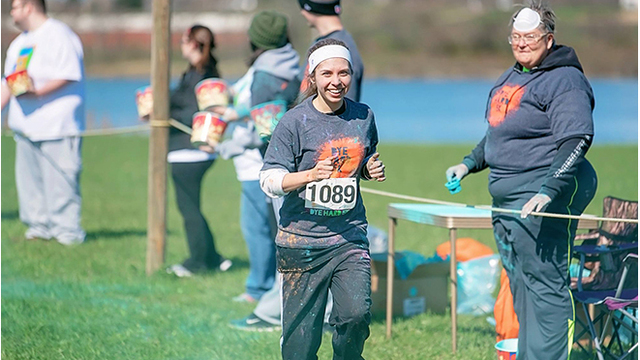 CLARK COUNTY, Ohio (WDTN) – Over 1,200 participants and 200 volunteers are expected to attend the annual Dye Hard 5K at the Clark County Fairgrounds on April 28. In the Dye Hard 5K, race participants get showered with safe, eco-friendly colored powder while running or walking the route. Plaques will be given to the overall top finishers and medals will be given to the winners of each age group. Proceeds will benefit the Developmental Disabilities Endowment Fund of the Springfield Foundation, and people with developmental disabilities participate in the 5K by walking and running, and by throwing color on the racers. Registration is $35 until April 21, and then $40 until race day. Groups of six or more can get a $6 discount per person.